Though often discussed in passing in water blaster reviews, there has not been a deeper look into the various technologies beyond the pressurization technologies that allow a water blaster to function. Parts such as pumps, valves, and tubing are mentioned, but often overlooked in terms of their importance in making a water blaster function. This next series of articles will dive deeper into the other pieces that allow water blasters to work beyond their reservoirs and pressurization systems. 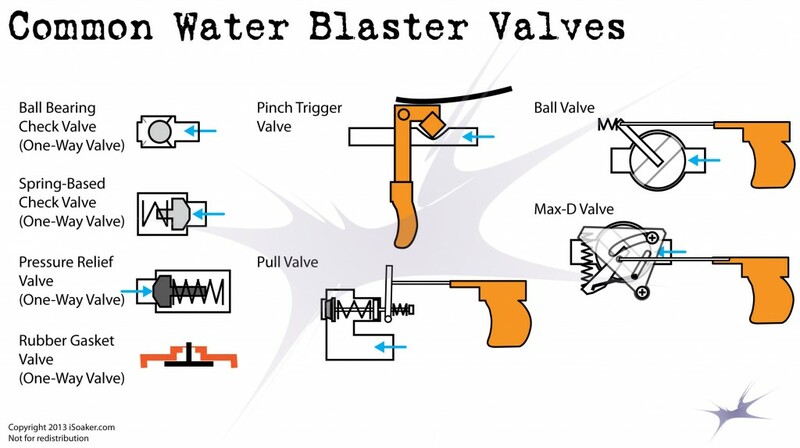 We will begin by examining and discussing the different types of valves found in different water blasters, how they work, and their advantages and disadvantages. In the above linked articles, we dive deeper into how each of the valves work, what they are best for, and where their limitations lie.